Mayor Rahm Emanuel announced that his One Summer Chicago program will expand to provide 25,000 job and internship opportunities this summer for youths ages 14 to 24 from neighborhoods across the city. This year, an additional 1,000 One Summer Chicago PLUS opportunities will be added to expand access to programs that will enable youth to develop valuable work skills as they remain engaged during out of school time. This year’s program will give youth a deeper experience than in years past, with new opportunities to contribute their skills and talents to Chicago’s vibrant communities. Opportunities are available in many industry areas, such as urban agriculture, bike repair, outdoor forestry projects, as well as office and clerical work. 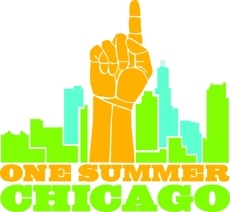 The online application for minimum of six-week summer employment is available now at www.onesummerchicago.org through May 15, 2016.